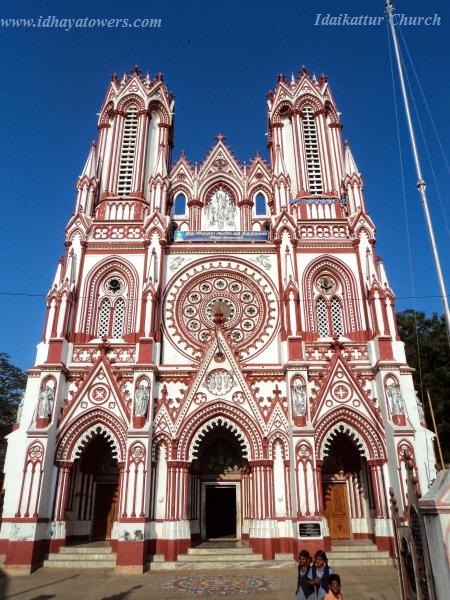 Edaikattur Church is the Sacred Heart Shrine Built with full of arts in Gothic architectural style on the model of the RHEIMS cathedral in France. All those beautiful statues were brought from France 110 Years back to Idaikattur. 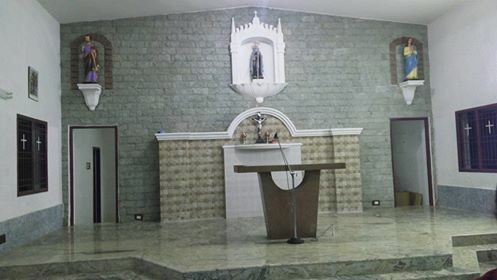 The reason is that only in this shrine there are the Relics (things connected with) of 40 saints kept on the main altar. Secondly, there is a historical event which took place 110 years back, when this Church was built that 9 choirs (hundreds) of angels appeared and solved a great problem. The Location of the shrine is 25 Km away from Sivagangai on the way to Manamadurai – Madurai main road. 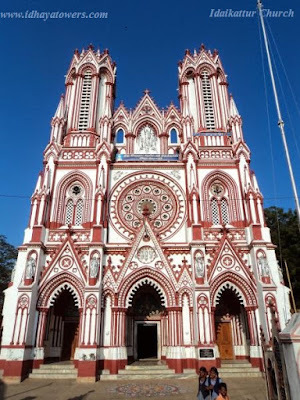 Pillayarpatti is an important Sivagangai Tourist Places and Tourit attractions of Sivaganga District which was located in the state of South Tamilnadu, INDIA. Many important sivaganga tourist places are mostly holy places except vettangudi bird sanctuary located in sivagangai district. 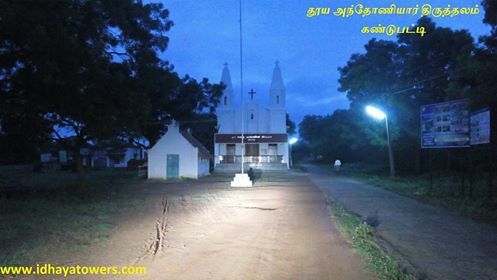 The holy temple Kalaiyarkoil is in Sivaganga District. It is 18 K.M east of Sivaganga. 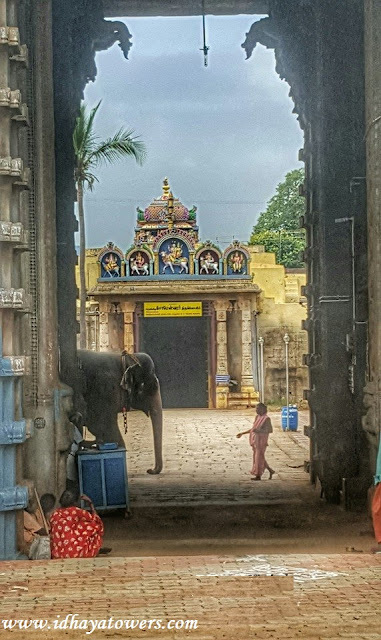 "Kalaiyarkoil" derived its name from the Kaleeswarar temple of the place. The temple of Kalaiyarkoil is a very large and handsome building surrounded by a strong stone-wall about 18 feet in height. Kalaiyarkoil has two Rajagopuram viz big and small one. There is a big Tank on the Southern side of the Temple. 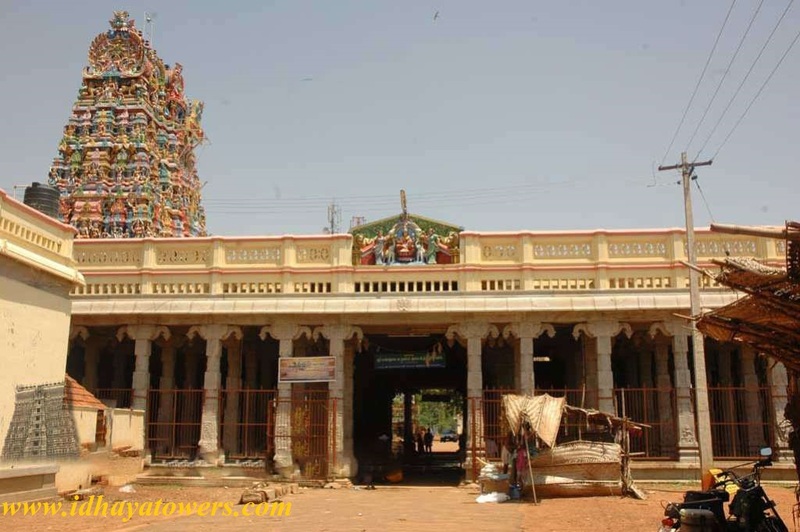 Kundrakudi Temple Arulthiru Shanmuganathan Holy Temple is situated at 40 Kms from , Sivagangai. 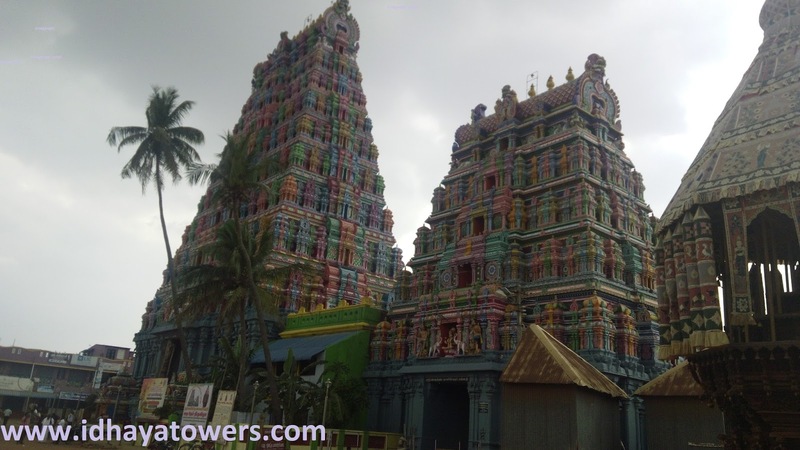 Built around the year 1000 in Lord Shanmuganathan is the presiding deity and the History is referred Mayuragiri Puranam. 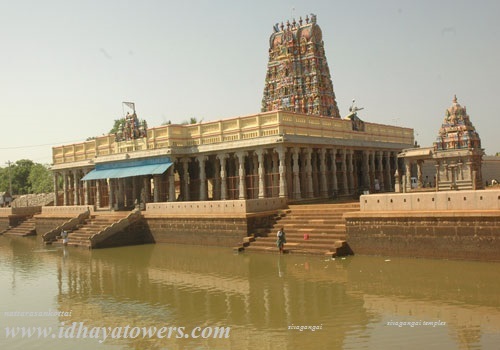 Marudhu Pandiyars Kings of Sivaganga renovated the Temple in their days. Important festivals include Thaipusam in January, Panguni Uthram in March, Thirukarthikai in November, and Kandha Shasti also in November Prayers in this temple bring relief from diseases and mental worries. The Devotees are blessed with good Children. The world famous Kannathal Temple, which is said to have built in the mid-18th century, is situated in the heart of the village town. The deity, Kannathal alias Kannudaya Nayaki Amman is famous for her powers in giving the boon of eyesight to the devotees with eye defects and other ailments. She is seen with eight hands and has an udukkai (a percussion striking instrument) and muvizhai sulam in her hands. Her left leg stamps the Asura by name Mahishan. As per mythology, Kannathal emerged with blessings she obtained from Lord Siva (the God of Creation,Sustenance and Destruction of evil, in Hindu Mythology) to vanquish Mahishan, who was giving trouble and anxiety to the people. Mahishan had a rare blessing from Brahmadeva that he will not die in the hands of men and he will only be executed by a woman. After heeding to the voices of the tortured people and Devathas, Kannthal appeared in Simmavahanam (Lion as vehicle) and executed him by stabbing in his heart. She is praised by many a number of devotees who have experienced her blessings. One could find names like 'Kannappan' (for male children), 'Kannathal', 'Kannammai' and 'Kanmani' (for female children) abundant in the community. Mavilakku, a flour made offering for the Goddess is offered by the devotees to appease her and to get her blessings. Vaikasi Visakam festival, celebrated for 10 days, is famous for the temple and on the 8th day, the Goddess in the form of KaliattaKannathal decorated by 'Kazhuthu Uru' (a Nagarathar Ornament) is taken in the silver adorned chariot around the temple.Also Amman is taken in Golden chariot on 7th day on and Wooden Chariot on 9th day .On 10th day night the function is called as "Mosa kuthu"(Muyal-Rabbit in english) one rabbit will be killed by using the long knife by poosari every year on this 10th day.Crowd of people will be there in the particular place to see this function. Special government buses ply during these days from Madurai. The temple is famous for its architectural marvel and Golden Kumbhams over the Temple tower. Kaliattam, a festival celebrated once in 60 years was celebrated in 1996 with much pomp and pageantry. The first 'Kumbabishekam' (Consecration of the temple) took place on September 12, 1938, the second on September 6, 1976 and the third on May 1, 1989 and also last kumbabishekam was on 2005. 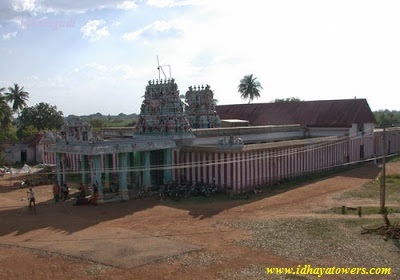 The temple is efficiently managed by the village Nagarathars. 'Sevvai Pongal' during the Tamil month Thai, is a festival that is celebrated by Nagarathars of this village, during which tickets will be pooled and drawn and based on that places near the temple are allotted to all the nagarathar families for making Pongals. Non-Nagarthars also contribute a lot to this festival. Other festivals of the temple include 'Muzhalkuttu Thiruvizha' during the Tamil month of Aadi, 'Navarathri' during the Tamil month of Purattasi and 'Thailakkappu Utsavam' during the Tamil month of Thai. 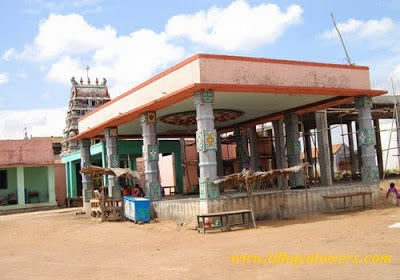 There are many temples in Nattarasankottai of which a Sivan temple is also famous. 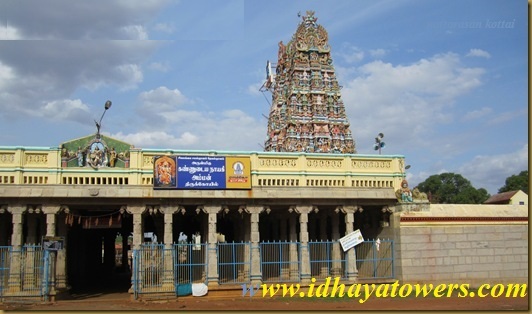 AshtamiThiruvizha and Sivarathri are the famous festivals of this temple. 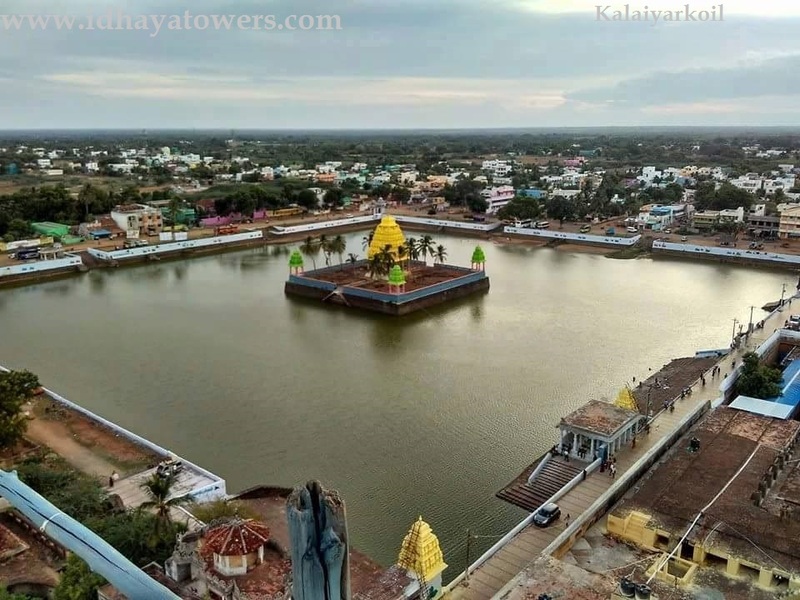 In addition that Nattarasankottai has lot of temples is covered this town like Ayyappan, Sivan, Perumal, Hanuman, Ramar, many marriammans etc. The famous poet Kambar, who translated Valmiki Ramayana to Tamil, spent his last days in Nattarasankottai and his tomb is situated here. Not many public know of his tomb. 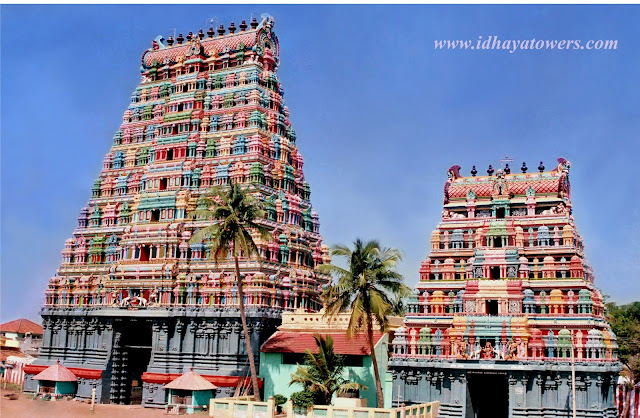 The renowned town of Kalayarkovil which is famous for Kaleeswarar temple, is situated few miles away. The famous Kollangudi Vettudaiyar Kali temple is also nearby. 6.00 a.m. to 1.00 p.m.
4.00 p.m. to 8.30 p.m.
சிவகங்கை மாவட்டம் காளையார்கோவில் அருகே கொள்ளங்குடியை அடுத்த அரியாக்குரிச்சியில் அமைந்துள்ளது வெட்டுடையார்காளி அம்மன் கோவில். 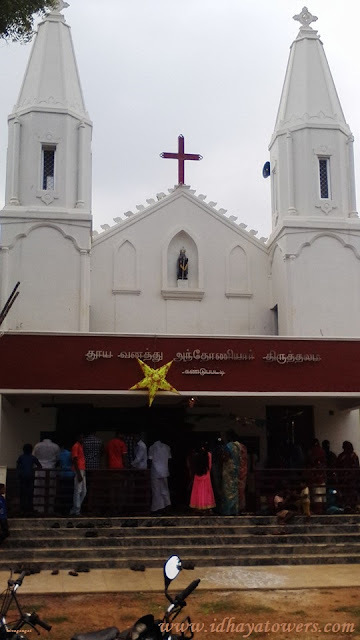 பொதுவாக காளி அம்மன் கிழக்கு அல்லது வடக்கு நோக்கிதான் இருப்பாள். ஆனால் இந்த கோவில் மேற்கு நோக்கி வெட்டுடையார் காளியம்மன் 8 கரங்களுடன் அருள் பாலிக்கிறார். பலர் தங்கள் கணவர் குணம் அடைந்ததும் தங்களுடைய தாலியை காணிக்கையாக செலுத்துகிறேன் என்று வேண்டுகிறார்கள். அதன்படி குணம் அடைந்த பின் தாலியை காணிக்கையாக செலுத்துகிறார்கள்.இப்படி ஆண்டுதோறும் தங்க தாலிகள் பல இங்கு காணிக்கையாக வருகின்றன. காலை 6 மணி முதல் மாலை 6 மணி வரை, பவுர்ணமி நாட்களில் இரவு 10 மணி வரை திறந்திருக்கும். Kappu Kattudhal (This may be called an announcing or inauguration ceremony. Till the conclusion of the festival, the residents should not leave the village.) Procession with milk pots, Theerthavari, Pookuzhi or fire pit festival, Navarathri in September-October Abishek with 108 pots of milk and special pujas in the Tamil month of Aadi (July-August) and Thai (January-February) are importantly celebrated in the temple. Panguni festivalPongal festival is being celebrated on the 7th day ( 22nd day of the Tamil Month Panguni), Milk pot festival and Flower Pallakku on the 23rd day of the Tamil Month Panguni 23rd day. The festival will be completed on 25th day of Panguni after celebrating “Theertha vari” function. From 7.00 a.m. to 7.00 p.m.